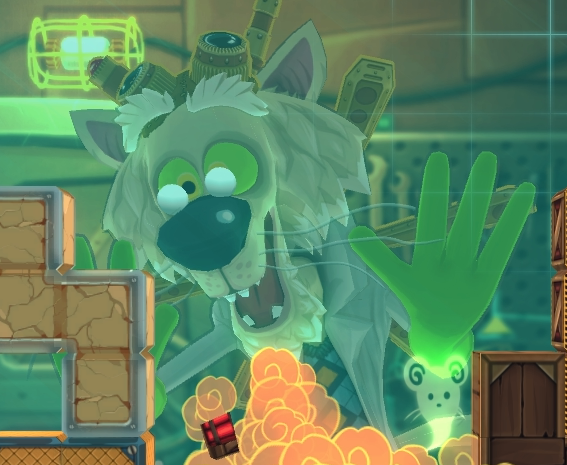 The great thing about games is one day you’re writing about blowing up zombies and the next it’s all aboard the crazy cat scientist train to a land of tiny cuboids and tinier mice. MouseCraft definitely fulfills today’s “mad indie game” quotient with a unique blend of puzzle platforming, wonderful pictures, and possibly the greatest player perspective of all time. Alpha launch trailer and details on your route to the cheese beyond the mousetrap. Defeat obstacles, overcome gaps and gather collectibles by using different types of blocks, be it jelly, explosive, or crumbling. Get involved by creating your own maps and show off your creativity by sharing these with the rest of the community. If the level-editing’s your bag, here’s the explanation vid complete with sweet background beat. The Alpha’s available for simply signing up to their beta program and the final game can be preordered for release later this year in a pay what you want deal, complete with charming panda graphic based on your contribution. Really though, all you need to think about is what that cat is worth. Tagged with crunching koalas, mousecraft.